Why do I need to register in order to see the full name of a fund or investment program? Unregulated investments are not suitable for all investors. Registration and membership are absolutely free of charge and without further obligations. Do you sell or pass my personal data on to third parties? No, we will never disclose your personal data to others without your explicit consent. 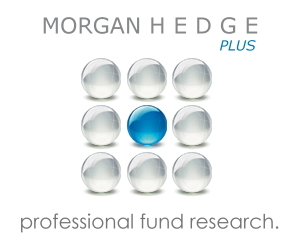 Does Morgan Hedge sell securities, act as an introducing broker or is Morgan Hedge connected in any way to the funds or programs listed? No, our company viimedia S.A. acts solely as an information provider. We are not a broker nor an advisor. We do not own stakes in any of the funds or programs listed. This guarantees our independence and neutrality. Do you provide investment advice? We do not and will not provide investment advice whatsoever. Is membership / database access really free? Yes, as a registered member you can search and browse our website and database for free. Hedgeweb generates revenue mainly from subscription fees and advertising. We may earn fees from funds or investment programs (e. g. for extended listings, custom presentations etc.) but it will never affect the accuracy and objectivity of the data published. All performance measures and quantitative statistics are calculated by us using the same methodoligy for everyone. Funds that used to be in your database are not listed anymore. A fund may be no longer listed in our database for various reaons. A delisting is possible even though the fund or program still exists. If you are looking for a particular fund or program you may contact us for further information. Why are the tabs �??Management�? ?, �??Contact�? ?, and �??Downloads�?? not accessible for every fund / program? Since most funds and investment programs listed with us are unregulated, they are free to choose how much information to publish. It is therefore possible, that certain information is unavailable, or that they opted for a listing, that does not show all information. If you refer to a particular fund or program contact us. We will inform the fund of our members requests for more detailed information. Why is there a monthly limit on the number of Morgan Hedge reports that can be downloaded? Currently the number of downloads is not restricted. Our reports are of a very high quality and include a vast amount of information. Other competitors charge very high fees for similar reports. By limiting the number of monthly downloads we protect ourselves against mass downloading and distribution of our reports or their contents. From an investors perspective it does not seem useful to download hundreds of reports each month. Since most information can be looked up on our website before, investors can limit their downloads to those funds that are interesting for them. This said, we believe that the number of available downloads is sufficient. However, should you require a higher monthly download volume please contact us. How do I add funds to my watchlist? Add funds by clicking the link �? ?Add to Watchlist�?? on the bottom of each detailed page. If your maximum amount of funds in your watchlist is reached, you will have to delete one before adding another. Why are your indices changing frequently even the yearly figures? 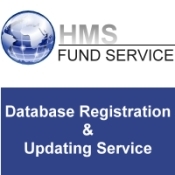 The indices include all funds and investments in our database. If new funds are listed they will be included in the index calculation. That means our indices are not static. Static indices often do not give a true and clear picture of the performance, that�? ?s why we chose to include all funds that are listed in order to get the best possible measure of past performances. With the relatively large number of funds listed in our database any changes due to new entries will affect the indices only marginally. However, changes may be more significant in certain -specialized- strategies.